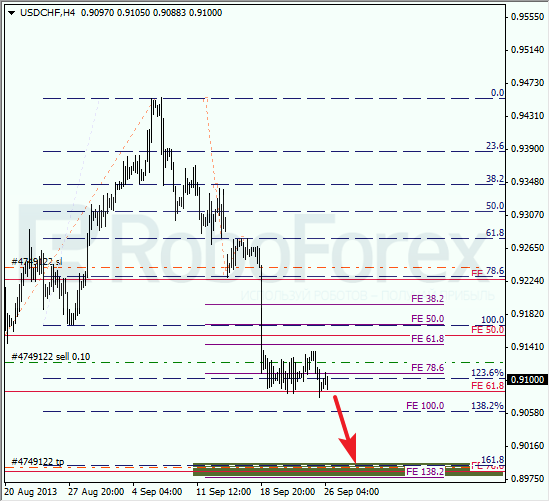 At the H1 chart we can see, the temporary fibo-zones indicated a reverse and a new ascending movement. We can’t exclude a possibility that the price may break the maximum during the day. I’ll move the stop into the black as soon as the pair starts moving upwards. Franc is starting a new descending movement, but the price hasn’t left the trading range yet, inside which it has been moving over the last week. I’m planning to increase my short position as the bears continue pushing the price towards the target area. 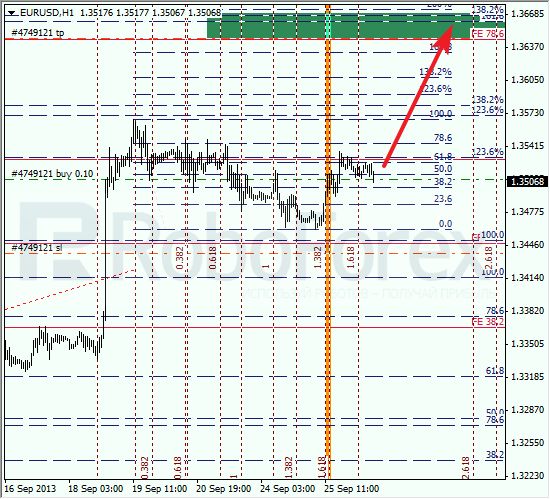 Yesterday the pair broke the minimum, but then started a new correction. 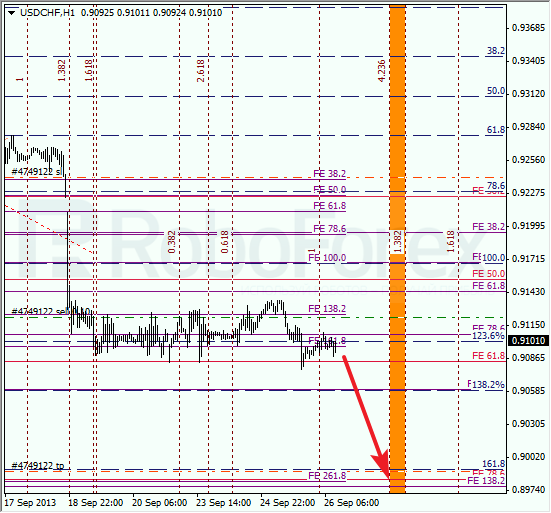 According to the temporary fibo-zones, the predicted targets may be reached by the end of the week. After reaching them, Franc may start a new correction.